My husband and I are in our early 40s and have two children. We live paycheck to paycheck, although we do manage to contribute a small percentage of pay to our 401(k)s. What are good retirement investments for someone without a lot of money? --J.E. Smart investing is certainly important to preparing for retirement. You don't want to squander your hard-earned savings on lousy investments. But what's even more important -- even though you didn't specifically ask about it -- is saving, and in your case finding a way for you and your husband to save more than you currently do. Otherwise, you'll have a hard time building a nest egg large enough to provide a secure retirement. That said, I'm going to start by addressing investing -- since it's easier to deal with -- and then move on to the more critical issue of boosting the amount you save. There are two key issues when it comes to investing for retirement. The first is creating a diversified mix of stock and bond funds that's compatible with your tolerance for risk. When I say diversified, I mean that you want to be sure you own stocks of all types (large, small, all sectors of the market) and bonds that include a broad range of issues (government, corporate, a variety of maturities). Generally, the more time you have before you'll retire, the more you'll want to tilt the mix of investments in your portfolio toward stock funds, as they tend to generate the highest returns. But you'll also need bond funds, as they can provide a bit of protection when the stock market goes into one of its periodic deep slumps. You can get an idea of how to divvy up your savings between stocks and bonds by going to this risk tolerance-asset allocation questionnaire. The second key issue when it comes to choosing investments is costs, which you want to hold down as much as possible. The more you shell out in investment fees, the less return you get. And since you're depending on the compounding of returns over years and years to build your nest egg, you don't want to give up any more of your investments' return to fees than is necessary, especially since many experts believe investment returns over the next decade or so will be significantly lower than in the past. Fortunately, there's a way to get those two key elements -- diversification and low costs -- in a single investment. I'm talking about index funds and ETFs. A total U.S. stock index fund or ETF, for example, will give you exposure to virtually all publicly traded stocks, while a total U.S. bond market index fund or ETF will do the same for the domestic bond market. What's more, such funds typically charge a mere fraction of what other mutual funds charge. Thus, by putting together a simple mix of two or more low-cost broad stock and bond index funds or ETFs, you can create a retirement portfolio that will give you the biggest bang for your savings buck. Of course, when investing in your 401(k) you are limited to the investment options in your plan's roster. These days, most 401(k)s offer at least some index funds, but not all do, which could limit your ability to take advantage of index funds' benefits. But since both you and your husband each has a 401(k), you have some flexibility. For example, if your husband's plan offers a good selection of stock and bond index funds but yours doesn't, you could increase the contribution to his plan and lighten up on yours. Or do the reverse if your plan has a better selection of index funds. If neither of your plans offers index funds, then go for a few stock and bond funds that provide broad diversification for the lowest cost (again, focusing on whichever plan has the better options). If you're not confident about your ability to put together a portfolio on your own, then you might consider another type of fund increasingly found in 401(k) plans today: a target-date retirement fund, which is essentially a fund that provides a ready-made diversified mix of stocks and bonds that becomes more conservative as you age. Related: I want to retire early. Where should I invest? 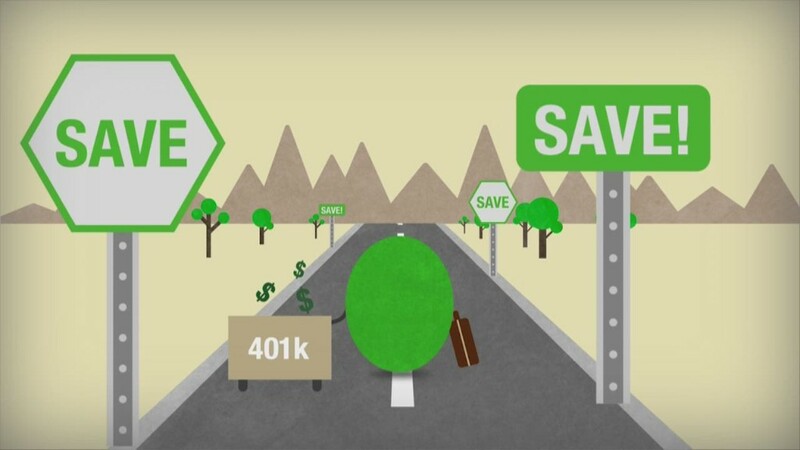 Moving on to the more important issue of saving, you say that even though your finances are tight, you're still able to contribute a small percentage of your salaries to your 401(k)s. That shows you're serious about preparing for retirement. But you still want to try as much as possible to boost that percentage over time. For example, maybe every year or two, you can increase the percentage of pay you contribute by one percentage point. Or perhaps whenever either of you receives a raise, half of it can go to your retirement accounts. I'm not saying it will be easy. But by nudging up your savings rate gradually over time, you may be able to make a big improvement in your eventual retirement lifestyle without feeling the pinch too much today. You may also have other opportunities to direct more income into savings. For many couples, their children moving out to live on their own provides a period of 10 or more years during which their expenses go down, allowing them to concentrate on fattening up their retirement accounts. Similarly, postponing retirement even a couple of years can significantly boost the size of your nest egg by giving you more years to save and allowing your nest egg to compound in value a few more years. Working a few extra years can also improve your retirement outlook as each year you delay claiming Social Security between the ages of 62 and 70, your benefit increases by roughly 7% to 8% a year. So by all means, do all you can on the investing front to ensure you're earning a reasonable return on the money you're putting away for retirement. But concentrate even more on ways to enhance your savings effort, as that will largely determine how well you'll be able to live once you retire.